Hey everyone! It's Candace from Candi O. 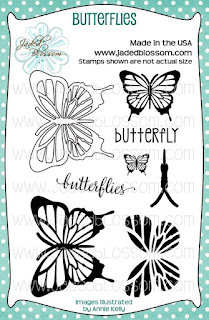 Designs and it's my day over at Jaded Blossom and I am sharing a project today using the Monthly Spotlight Stamp Set ~ "Butterflies". 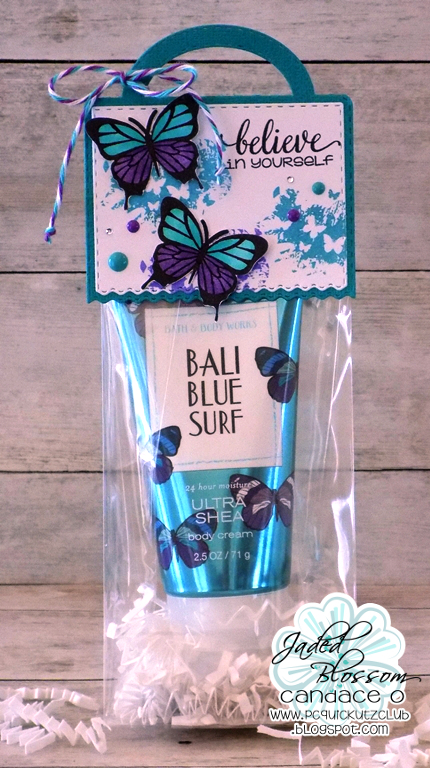 I bought this body cream which inspired me to make into a cute gift. 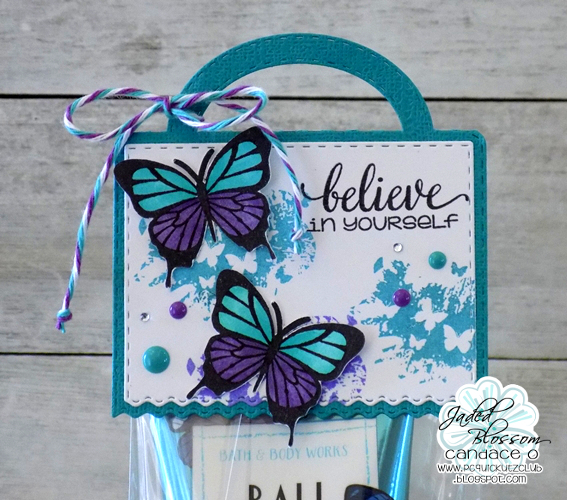 The beautiful colors and butterflies on the bottle made for a perfect palate in creating this topper ~ love matching gifts! 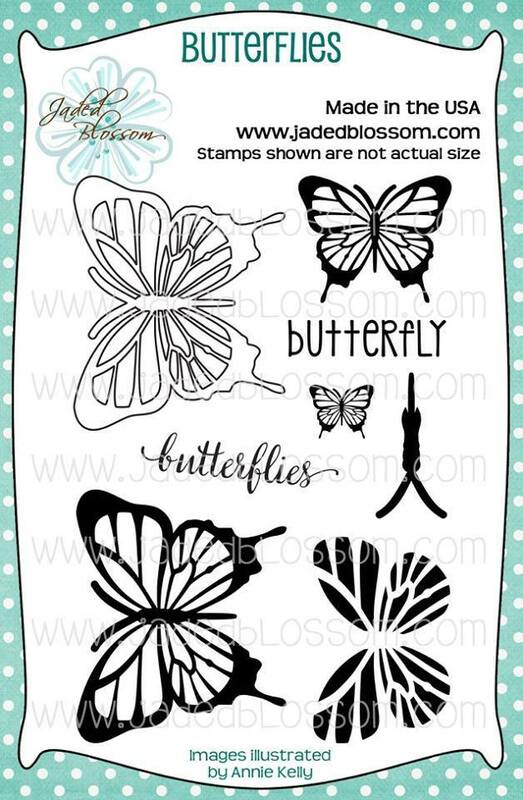 your own Butterflies Stamp Set at a great price this month!